Known for its elegant styling, consistent performance, and comfortable cabin, the Chrysler 300 has consistently performed well. In 2015, Chrysler celebrates the 300's 10th birthday by making the formidable, well-received 300 even better. 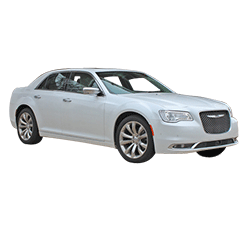 The following are compelling reasons luxury sedan buyers should consider purchasing the 2015 Chrysler 300. 1. The 2015 model improves upon the 300's preexisting roomy, luxurious interior. Previously known for giving drivers and passengers a spacious, premium cabin experience, the 2015 Chrysler 300 continues that trend. A soft leather trim is standard along with a classy instrument cluster and UConnect syste with 8.4-inch touchscreen. The 300's contrasting interior color scheme is arguably more interesting when compared to other vehicles in the same segment. Firm seating adds comfort to the vehicle's attractive interior layout. The Platinum model includes open pore wood and quilted leather seats. 2. Its striking exterior styling is back. Critics say the 300 deviated from its distinguished "Baby Bentley" styling in its second generation. The 2015 is a throwback to the elegant style for which the first generation was known. Most notable, the 2015 model features quad LED fog lights, and the size of the new mesh grille has been increased by one-third. The winged logo has been relocated toward the grille's center. The back bumper has a more prominent upper edge with round portholes in the place of rectangular exhaust tips. 3. It's got improved steering. The 2014 Chrysler 300's electro-hydraulic steering system has been replaced with rack-mounted electric steering assist. The new system is integrated into the 300's safety systems and allows the driver to select the preferred steering assist level. One of the steering assist levels is sport mode, which adjusts steering effort, shift strategy, and throttle progression to create a sportier effect and adds rearward torque bias in the all-wheel drive models. 4. It has lots of gadgets. UConnect allows 300 owners to turn their car into a Wifi hot spot. With the help of a smart phone app, the 300 can be started remotely, and drivers can make other adjustments from their phone. Heated and cooled cup holders are also an option for those who need to keep their beverage at the perfect temperature while on the road. 5. A broad price span makes the 300 highly customizable. Based on age and income, 300 owners are the most diverse among Chrysler vehicle owners. There is a 50 percent price difference between the base model and the most expensive trim. Whether a car buyer is simply looking for a reliable sedan with a luxurious feel, a premium sport sedan, or a car that is fancy above all else, the 2015 Chrysler 300's various trims got it all covered. 6. The base model is well-equipped. Equipped with a leather interior, 17-inch wheels, and heated front seats, Chrysler 300 Limited owners will definitely enjoy the feeling of sitting in the cabin of a luxury vehicle. The Limited base model also comes with all safety features; AWD is optional. 7. It has enhanced high-tech safety features. A forward collision warning will react to potential accidents at low speeds by beginning to apply the brakes even if the driver does not react as quickly. The adaptive cruise control function was designed to accommodate the ebb and flow of heavy traffic by operating to a complete stop and resuming acceleration if the car is idle for less than two seconds. Lane assist automatically adds slight corrective steering if the 300 begins the veer out of its lane. The driver is able to select the desired amount of corrective steering. 8. It offers three different suspension tunings. The Limited and 300 C's comfort suspension provides more than adequate shock absorption against bumps and allows drivers and passengers to feel as if the 300 effortlessly floats along the road. With the firmest tuning since the discontinued SRT8, the 300 S features the sport suspension, which enables the driver to feel more connected to the road while navigating twists and turns. The touring suspension offers a solid, comfortable, secure ride and is still responsive and engaging despite the vehicle's slightly larger size compared to its competitors. For drivers who are in the market for more excitement with their luxury sedan, the 300 S with optional Hemi motor lives up to high expectations by making the 300 more a more lively vehicle to drive. Overall, the Hemi gives the 300 S a more powerful, lighter feel and a tail that is more responsive to throttle. 10. The people at Chrysler know what they're doing, and it shows. From elegant, distinctive styling to a quiet, luxurious cabin, consumers have come to consistently expect excellence and reliability from the 300. The luxury sedan's strong reputation has translated to a strong performance in the marketplace. Sales for the second generation 300 increased nearly 50 percent over the course of its four-year run. The 2015 version is a continuation of Chrysler's history of excellence with the 300. While reviews of the 2015 Chrysler 300 are overwhelming positive, there are also cons to buying the vehicle. The following are reasons the 300 may not be the car for every driver. 1. The 300 is pricey. The price range for the 300 is very broad. 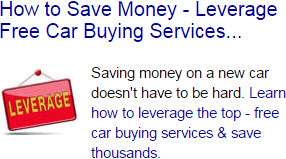 However, there are other choices in the segment that give consumers ample features at a lower price. Some competitors also rival the 300 in power, performance, and refinement. 2. It may not be the car for the more fuel-conscious consumer. not improve upon the mpg rating of 2014 version. Therefore, a driver who requires a full size luxury sedan, but also wants to conserve fuel may find some of the Japanese-made competitors to be more fuel efficient. Overall, the reasons to buy a 2015 Chrysler 300 far exceed potential drawbacks when compared to its competitors. While Chrysler did not make drastic changes to the 2015 300 for its 10th anniversary year, a collection of slight changes have further improved a car that has already set itself apart from the others in its category. The 2015 version marks a strong start to the third generation of the Chrysler 300.